As Super Bowl celebrations become increasingly focused on food over the last 10 years, prices for game day favorites rise and fall with fans' demand. In an annual survey, the National Retail Federation found a 15 percent increase over about a decade in the number of people planning to buy food and beverages for their game day celebrations, said Katherine Cullen, director of industry and consumer insights at the industry trade group. "Food and beverages seem to be a really big part of celebrating today, even more than it used to be," Cullen said. "It seems like there's a lot of interest around prepping fun food and really making this an event through the food and beverages." 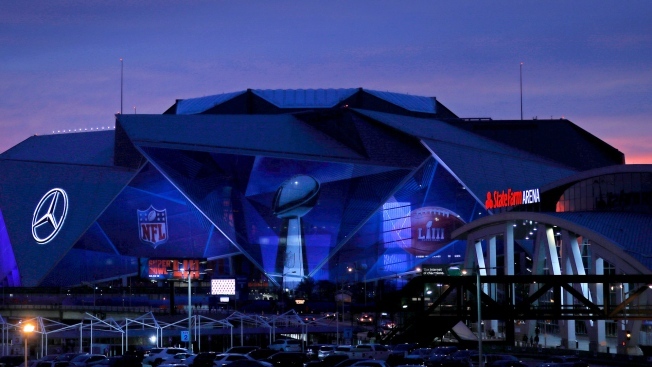 American adults say they'll spend an average of $81.30 on the Super Bowl, according to the NRF. The survey, which was conducted by Prosper Insights & Analytics, doesn't break spending down into segments, but suggests food and beverage spending is on the rise. Nearly 7,400 adults were polled in the survey, which was conducted Jan. 2-9. The owner of the New England Patriots talks Super Bowl LIII from CNBC. That increased demand may be bad news for shoppers who may find prices for in-demand fan favorites rising in the week leading up to Feb. 3, when this year's game will be held. It certainly seems to be case for chicken wings. Other categories that experience sales spike in the week before the Super Bowl include frozen appetizers, canned chili, frozen chicken, wing and hot sauce, dips, frozen pizza and tortilla chips, according to Nielsen data. The price of chicken wings increases about 7 percent for about a week before the Super Bowl, according to Jayson Lusk, who heads the Department of Agricultural Economics at Purdue University. For about a week following the game, prices fall 4 to 5 percent. "Every time there's a Super Bowl, about a week before, there's an uptick in (wing) prices," Lusk said. "That would definitely be consistent with an increase in demand around that time." The National Chicken Council estimates fans will eat 1.38 billion chicken wings throughout Super Bowl weekend, 2 percent higher than last year's estimate. That amount of chicken wings is enough to put 640 wings on every seat in all 31 NFL stadiums, the NCC noted in a statement. Those percent increases are based off of data from the last decade, but Lusk says the Super Bowl's effect on chicken wing prices is present but "less pronounced" all the way back to the early 1990s. Lusk also conducted a monthly survey over five years tracking consumer demand for various meat products. He noticed a trend: In January and February around the Super Bowl, consumers were willing to pay more for chicken wings. The price for most chicken cuts has stayed steady over time, but chicken wing prices have seen "impressive" growth, Lusk says. In the early 1990s, chicken wings cost 90 cents a pound. In 2018, prices for wings averaged about $1.50 a pound, according to Lusk. Of course, sometimes consumers won't feel the pinch of higher prices for these hot items because grocery stores will use discounts to woo shoppers into the store. Tyson Foods sees demand for chicken wings rise in December thanks to college football and the holidays, but prices are typically lower around the Super Bowl, the company said. "When it comes to Game Day specifically, we further focus on this mission to offer a great value, often through retailer partnerships, to meet the overall demand of chicken wings for Game Day viewing parties," Tyson Any'tizers brand manager Christopher Olson told CNBC via email. "Given these partnerships, historically, the average price near the Super Bowl is often lower than the annual average price for the same item." Restaurant chains are taking advantage of consumers' appetite for chicken wings. On Super Bowl Sunday last year, Buffalo Wild Wings saw a 30 to 40 percent increase in traffic compared to the year's average football Sunday. Last year, Buffalo Wild Wings served 14 million traditional and boneless wings to the 500,000 people who watched the game there, said Seth Freeman, chief marketing officer for Buffalo Wild Wings. Buffalo Wild Wings also sees a change after the game, when demand for chicken wings falls slightly, but soon levels out, Freeman said. This year, the restaurant is promising customers free wings if the game goes into overtime. The Super Bowl has only gone into overtime once, when the Patriots beat the Atlanta Falcons in 2017. "We want the game to go into overtime," Freeman said. "We win, our fans win as well." Consumer spending on avocados and pre-made guacamole rises for the Super Bowl, totaling more than $60 million for the week leading up to the Super Bowl, according to data from Nielsen-tracked sales channels. Sales of tortilla chips rise 15 percent. The demand for avocados, the key ingredient for Super Bowl staple guacamole, rises before the game. Avocado unit sales are 33 percent higher the week leading up to the Super Bowl and fall 48 percent in the week after the game, according to Nielsen-tracked channels. Produce marketer Avocados from Mexico said avocado demand ahead of the Super Bowl hit new highs this year, increasing 20 percent from last year to 242 million pounds. The group measures demand for the four weeks leading up to the event. "We have a lot of fruit in the market right now, we're very happy and it's been a successful Super Bowl so far," Avocados from Mexico President Alvaro Luque said. The U.S. Department of Agriculture's Agriculture Marketing Service said avocado shippers fetch a lower market price roughly a week before the game because most Super Bowl orders have already been filled. Bob Lucy, the president of Del Rey Avocado Company, said he sees demand for avocados double around the Super Bowl. There are three main events for avocados: Cinco de Mayo, the Fourth of July and, of course, the Super Bowl, Lucy said. Growers prepare for the Super Bowl spike in demand months ahead of time by leaving avocados on the tree longer, Lucy said. The fruit can stay on the tree for months once its ripe, which means growers can strategize for production weeks ahead of the game. "Growers are trying to get the exact amount of fruit to go into the system," he said. "I think maybe they've overpicked a little bit and prices are a little bit soft right now." Game day demand is part of a larger trend: This fiscal year, Mexican avocado imports are expected to be 7 percent higher than last year at 2 billion pounds. In 2018, the USDA said per capita consumption in the U.S. of avocados was around 7 pounds per person, up from 4 pounds in 2010.